Car Care Tips in Beverly, OH |Skinner Firestone Inc. In shopping for tires, following your vehicle manufacturer's recommendations is the failsafe way to the select tires that are best suited for you. To understand the characteristics of your tires, the main features to consider include: tire size, tire class, and tread type. Size – The size of tires is indicated by a number of factors including section width, aspect ratio, and wheel diameter. Abiding by manufacturer specifications will assure the best fit and performance for your vehicle. Class – The class of tire you chose should be determined by the how you use your vehicle and where you use it. In areas that experience a variety of weather conditions, an all season tire is a great choice, but if you live where snow and ice are a problem, you will need a winter class. If you value comfort and responsiveness, a touring class tire will meet your needs. Tread – Tread type should be selected based on the type of roads or terrain you travel. Tread patterns available include multi-directional, asymmetric, directional, all-terrain, highway, and more, each offering distinct performance benefits. As tire experts, we will make your shopping easy! We'll assist you with finding the best tires to match your vehicle recommendations, driving style, and budget. Protecting your tire investment begins with proper maintenance. Well-maintained tires not only promote longer wear and tread-life, they substantially improve the safety of your vehicle. Tire Pressure – Correct tire pressure is essential for reliable handling, effective traction, and optimal tire life. Properly inflated tires will assure that the vehicle's weight is equally distributed, resulting in even wear. Factors such as temperature change and leaks can affect tire pressure so it is important to check it often. Tire Rotation – Tire rotation is a key factor in assuring even tread wear. Depending on the type of vehicle and your specific tread wear pattern, different types of rotational patterns will be most beneficial. Having your tires rotated by automotive professionals will provide this service as well as the opportunity to detect other issues before them become serious problems. Wheel Alignment – Problems resulting from improper wheel alignment include poor vehicle handling and steering, as well as uneven and rapid tread wear. Many factors can effect alignment, including a minor accident, which may not cause visible body damage. Checking your alignment regularly will prevent a host of problems down the road. 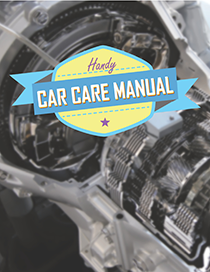 Your vehicle manufacturer manual will provide guidelines for proper maintenance. You can count on us to help you take care of your tires and your vehicle, and provide expert auto services when you need them. On the road, the safety of every driver and passenger depends greatly on the quality of the tires that carry them. Despite that fact, tires are likely something the average person does not give much thought to until they need to be repaired or replaced. For every vehicle owner, it is worth taking a little time to learn about tires. While our Tires 101 section will not make you a tire expert, it will provide you with a basic tire overview and get you a little better acquainted with your tires. The technology behind the tires of today combines advances in engineering and chemistry, as well as a solid understanding of physics. The newest designs offer the best performance, ride comfort, fuel efficiency, safety, and reliability. Today's tires are also developed to meet specific vehicle demands, or to perform well in certain climates. Bead – the tire gets its strength from the bead, which is a loop of high-strength, rubber coated cable. This strength allows the tire to stay mounted on the wheel rim and enables it to withstand mounting machine pressure when rims are installed. Body Ply – tires are comprised of multiple plies or layers of fabrics, which are rubber coated to seal in air and promote tire element bonding. Types of fabric may include polyester cord and Kevlar. The number of plies a tire body has is indicative of its strength. Belt Package – steel belted radial tires incorporate bands of steel, which reinforce the area under the tread. The benefits of steel belts include greater puncture resistance and better road surface contact. Sidewall – providing lateral stability, the tire sidewall protects the tire and gives it good resistance to abrasion and environmental factors. Sidewalls also provide a thick rubber area upon which raised identification letters and decorative features are molded. If you have ever washed your vehicle or checked your tire pressure, you have probably noticed that there is a code on the side of each tire, which looks something like this: P205/55R16 89H. This seemingly random combination of letters and numbers can tell you a lot about your tires, if you know how to crack the secret code. Actually, there is no secret -- this code of specifications is, for the most part, universally the same for all tire manufactures. The alpha numeric system reveals the tire type and its performance characteristics. The kind of tire and the use intended are indicated by the first letter in the code. Letter designations include P primarily for passenger vehicles, T for temporary spare, LT for light truck metric, C for commercial, and ST for special trailer service. Euro-metric tires do not include this first letter descriptor. Before the slash mark, and following the first alpha character, the section width of the tire is listed in millimeters. This is the widest point from sidewall-to-sidewall, so a larger number indicates a wider tire. In this case, the tire has a width of 205 millimeters. The construction of the tire is indicated by the letter following the aspect ratio. The most common designation is R, which stands for radial construction. Other less common construction types for modern passenger cars may include D for bias ply construction and B for belted tires. The number following the construction code is the size of the wheel that the tire will fit in inches. The example tire would be designed to fit a 16-inch wheel. Tire sizes on modern vehicles typically start at 13-inches and go up to 18-inches, but custom package wheels can be 22-inches or even larger. The tire performance index usually follows the wheel diameter, and represents the tire's load and speed ratings. In this case, the 89 load index represents 1,279 pounds (per tire), and the speed rating of H represents 130 mph. The speed rating tends to be more significant in countries with roadways that are not subject to speed limits. A Penny for Your Treads? Sufficient tire tread depth is an essential factor in vehicle handling and traction. In fact, tire tread depth is so important, US law requires tires to have plainly visible tread wear indicator bars. However, these bars can be difficult to see until the tread is well worn. The easiest way to measure tire tread depth, and be assured of the safety of your tires, is with the tried and true penny test. Hold a penny so that "In God We Trust" appears across the top. Place it into five different sections of the tire grooves, taking note of the visibility of Lincoln's head. If you can consistently see the top of Lincoln's head, this means that the treads are excessively worn, and it is time to go shopping for a new set of tires. If the top of Lincoln's head (to about the forehead hairline) is consistently covered throughout the tread grooves, the tread is in good shape and your tires probably do not need replacement. Protect your tire investment and stay safe on the road. Remember – a penny saved is a great tool for checking your tread depth! In choosing tires, it is important to consider factors such a quality brand and solid value, but it is also essential to select the right tires for your type of vehicle. It is also imperative that driving conditions be a major consideration in making a tire selection. Several types of tires are available to suit every kind of vehicle and all driving conditions. All season tires are a widely used and most popular variety of tire, carrying S and T speed rating. Sedans and minivans commonly have all season tires as standard. All season tires are developed to handle most conditions from dry pavement to wet weather and moderate snow. Characteristics of all season tires include a comfortable and quiet ride, reliable handling, as well as long tread life. All season tires are a good choice for most drivers, except where winters are severe. For year-round traction in most climates, all season tires are an excellent choice. A tread with gripping edges for better handling on snow and ice distinguishes winter tires from all season tires. Often winter tires are developed with a softer rubber compound that remains flexible in temperatures of extreme cold. Winter tires are not the best performers for driving on cleared roads because they tend to not grip as well as all season tires and tend to wear more quickly. Winter tires should be used during extreme cold weather driving conditions. Winter tires should be used in sets of four for balanced handling and optimal grip for braking in snow and icy conditions. Drivers looking for the all-around best performing tires in mild climates and seasons will find summer tires offer a performance level above all season tires. Summer tires, as the name implies, are not at all suited for driving in snow and ice, but on dry and wet roads in mild temperatures they offer solid handling. This is because the softer compounds used in summer tires, unlike those used in winter tires, become harder in colder temperatures. While the performance is enhanced with summer tires, they tend to have shorter life span and more rapid tread wear. Run-flat tires are a self-supporting type of tire that can be used on light trucks and passenger cars. Developed with much thicker sidewalls than conventional tires, run-flat tires are able to support the weight of the vehicle even when entirely deflated. Run-flat tires are capable of operating without air pressure for 50-200 miles at 50-55 MPH (depending on the tire) while maintaining virtually the same level of ride comfort and handling. Since any loss of air pressure would not be detected by the driver, vehicles using run-flat tires must be equipped with a tire pressure monitoring system. If run-flat tires are driven too long without the proper tire pressure, they may become irreparably damaged.